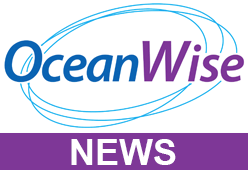 OceanWise, UK leaders in the provision of intelligent Marine and Coastal Mapping data, has developed a set of specialist tools and methodology to identify specific content from Raster Charts. By removing all content to the landward side of the coastline OceanWise has created a product which can be used seamlessly alongside terrestrial data and as a result is a more consistent and useful dataset for customers. Ever since the first paper nautical chart was scanned and georeferenced over three decades ago, the geographic information community has struggled to use them efficiently within GIS software and map making solutions. This is due firstly to the chart being designed for use as a finished map in isolation. It contains as part of the output, printed metadata such as source data diagrams, compass roses, notices to mariners and tidal diamond tables to name but a few. These are usually drawn near the margins or over areas of lesser navigational interest, usually over the top of land features! When Raster charts are loaded in a GIS, these superfluous items often conflict with other data layers producing a cluttered and undesirable visual result. Secondly, charts are not produced to a consistent set of scales or bounded to a strict grid or tile set. Instead they are drawn to a set of defined ‘usage bands’, which dictate when they should be used on-board a ship, dependent on whether it is at the berthing, pilotage or passage making stages of a sea-going journey. The result is charts that overlap and depict different information to the user based on the related usage band; often with multiple depictions of a single real world feature. In short it’s not been easy to use a set of raster charts together in a GIS! Our new product Raster Charts XL aims to solve this issue.